Sunday 10th June 2012 at Appleby, Cumbria, England, UK. Sunday is traditionally a busy day for horse trading and visitor attendance at the Appleby Fair, the biggest annual gathering of Gypsies and Travellers in Europe. 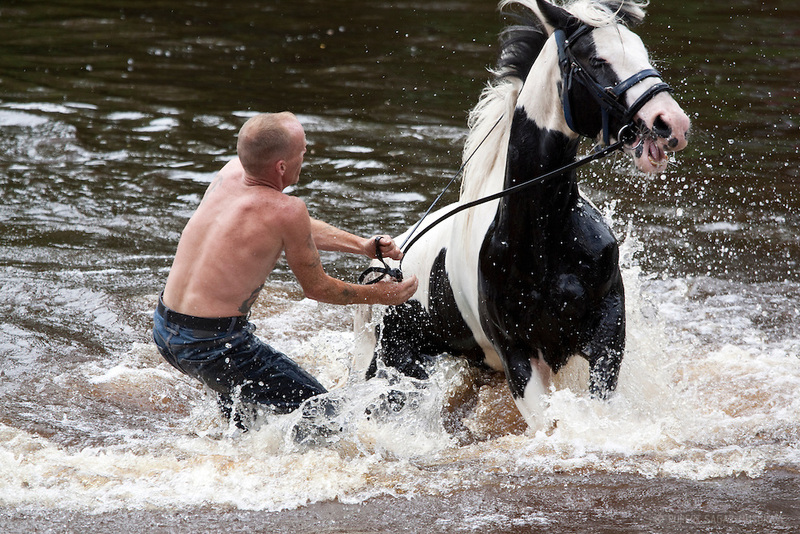 After the closure of access to the river Eden yesterday (Saturday 9th June) due to heavy overnight rain and raised water levels, young people were again washing horses in the water to clean them up for sale interest.